Landslides are one of the most serious geomorphological hazards in Asturias (NW Spain), where their temporal forecasting constitutes a key issue. The present work uses 559 records from the Principality of Asturias Landslide Database (BAPA) and daily precipitation data series from six rain gauges, gathered during a period of 8 hydrological years (2008–2016), to calculate empirical antecedent rainfall thresholds for the triggering of landslides. The methodology includes (i) the selection of a representative input dataset and (ii) the assessment of the performance of the thresholds through contingency tables and skill scores. On this basis, six local rainfall thresholds for different areas within Asturias have been calculated and compared, allowing progress towards a better understanding of the rainfall-landslides relationship in the NW of Spain. The analysis has highlighted the strong influence of (i) the climatic variability between areas and (ii) the different seasonal precipitation patterns on the landslide-triggering conditions. The antecedent rainfall plays a key role during the wet period while the intensity of the rainfall event is the most relevant factor during the dry period. 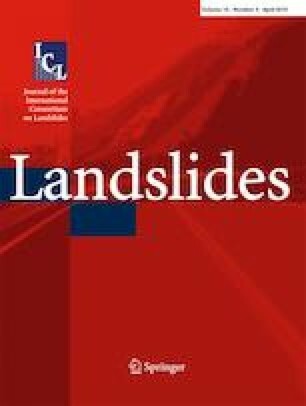 These observations must be considered to successfully address the temporal forecasting of landslides. The authors are grateful to the comments of the editor and two anonymous referees, who greatly helped to improve the manuscript. This research has been funded by the Department of Employment, Industry and Tourism of the Government of Asturias, Spain, and the European Regional Development Fund FEDER, within the framework of the research grant “GEOCANTABRICA: Procesos geológicos modeladores del relieve de la Cordillera Cantábrica” (FC-15-GRUPIN14-044), and supported by cooperation between the Department of Geology at the University of Oviedo and the AEMET.